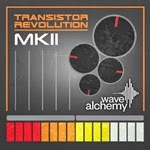 Transistor Revolution for Maschine and Live 9! Our award-winning Transistor Revolution MKII for Kontakt now includes intuitive, custom built Ableton Live Drum Racks (Live 9) and NI Maschine formats as standard when you purchase the main Kontakt instrument. 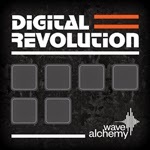 Digital Revolution for Maschine and Live 9! Over the last few months we have been researching the best way to format our products so they work in the popular Machine and Live 9 formats. Our new Digital Revolution virtual instrument for Kontakt now includes intuitive, custom built Ableton Live Drum Racks (Live 9) and NI Maschine formats as standard when you purchase the main Kontakt instrument. We are extremely proud to announce the release of Digital Revolution, our virtual drum machine instrument inspired by the classic digital drum machines of the 1980?s. "Very high quality samples... Plenty of material here for all types of producers whether you are into techno, deep house or just pure electronica"